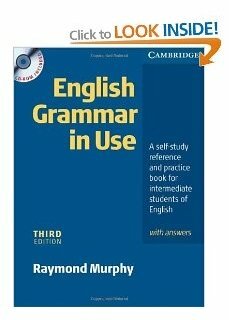 Are Written English Grammar Exercises Useful? Comments for Are Written English Grammar Exercises Useful? Thank you for providing this awesome site! I've been searching for site that helps me learning grammar rules and exercises. Yes! English grammar exercises are useful (fill the blanks, multiple options, etc). In fact, they are a very useful tool, but they need to be combined with other tools for best results. 1. You should really understand the explanation on the subject you are studying. 2. Then do the exercises until you feel you are much more confident on the subject. 3. At that point you can move on to a new subject, and study it. Always make sure you progress gradually. This means that you shouldn't move on to a more difficult subject before the current subject is clear to you! 4. The best way to learn English is to use it! Now, English grammar exercises are a good way to practice, but they are not REAL English (I mean, you won't be filling the blanks when talking to someone from the US ;-). So it is VERY important to read, write and speak the new grammar rules you have learned. For example, let's say you learned the Present Progressive tense. After doing exercises on how to correctly form and use the tense, you should actually USE it. Try reading this article on Building Vocabulary. It has some very important tips on how you can turn your efforts into actual results. It concentrates on vocabulary, but provides you with the steps and the process to improve any subject.